You can just use regular white computer paper, or get fancier printed paper or cardstock, as long as it is printed/colored on both sides. 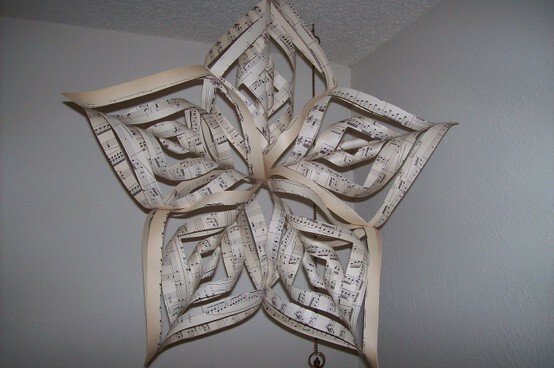 Then, you just need scissors and either glue, hot glue, or tape. Watch the video above, but just a few simple cuts and folds and you have a huge, three dimensional snowflake! 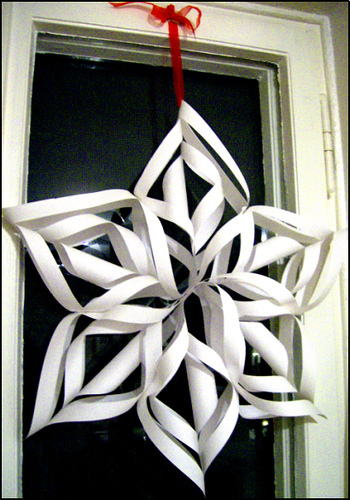 It makes such a bigger impact than traditional flat paper snowflakes we all made as kids. I also have it on my Pinterest page, from my cousin's post - she made one out of old sheet music! Beautiful! PS....Pinterest is my newest OBSESSION!!!! Such the perfect way to organize ALL my craft and recipe ideas.